Can You Die From a Hydrocodone Overdose? Hydrocodone (Vicodin, Norco, Lortab) is an opioid pain medication. It is generally safe when taken for a short time, but it can be addictive, especially when abused. Hydrocodone overdose occurs when people take too much of the drug or mix it with other drugs. When people overdose, their breathing and heartbeat can slow and stop.3 Many people recovering from a hydrocodone overdose have a substance abuse problem and should consider drug rehab treatment. A hydrocodone overdose requires immediate medical attention. If you or someone you know experiences the symptoms listed above, call 911 immediately. Make sure the person’s airway is clear (nothing inside the mouth or throat). Put your hand on the person’s chin, tilt back his or her head, and pinch the nose closed. Place your mouth over the other person’s mouth and make a seal. Give 2 slow breaths, and make sure you see the person’s chest rise (if it doesn’t rise, try tilting the head back more). People that are breathing are still at risk of choking on their own vomit. It is best to stay with a person until the paramedics arrive. But if you have to leave them, even just to go call 911, put them in the recovery position. Lay the person on his or her side. Pull up one knee to prevent the person from rolling over. With quick access to naloxone, an opioid overdose does not have to be fatal. Emergency responders use it, but friends and family can use it, too.3 If you are concerned that you or someone you know might overdose on hydrocodone in the future, talk to your doctor or pharmacist about getting naloxone for your home. Using hydrocodone in combination with other sedating drugs (benzodiazepines, ketamine). Existing opioid dependence and addiction. High tolerance and high daily dose. Who Answers? to get more information about treatment programs. To treat a hydrocodone overdose, medical professionals will first determine whether respiratory arrest has occurred, or if the patient is still able to breathe without assistance. 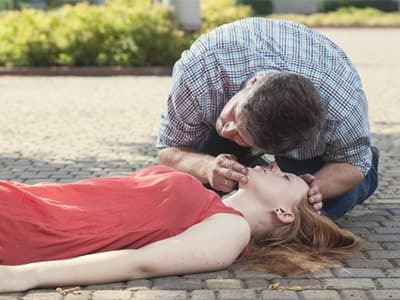 Because death and serious complications can result from a lack of oxygen, ventilation is extremely important.3 Once the person has been given a steady supply of oxygen, he or she will likely be given a dose of naloxone (Narcan). A hydrocodone overdose can be a traumatic event that may also lead to extreme emotional reactions – including guilt, shame, and even gratitude. Survivors may apologize for worrying the ones they love, and they might be asked to explain why the overdose happened. However, surviving an overdose can also be an opportunity to address the underlying problems that led to overdose. In most cases, the underlying problem is physical or emotional pain. If physical pain is at the root of the problem, the person should try to find a pain specialist who can help him or her find safer ways to manage pain. If the underlying cause is hydrocodone addiction, then it is time to seek treatment. Detox centers: These programs are set up to help people safely stop using alcohol or drugs. Medical staff monitor users and may prescribe medications to make the process more comfortable – easing cravings and other troublesome symptoms of acute opioid withdrawal. Some programs offer counseling, but the primary focus is easing users through the withdrawal process. Outpatient treatment: Outpatient recovery includes a variety of programs that involve behavioral counseling on both an individual and group level. 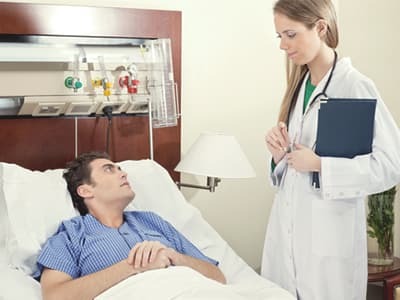 Some types of outpatient programs, such as partial hospitalization, offer access to medical care during treatment hours. Inpatient treatment: Inpatient or residential recovery programs provide 24-hour structured treatment, counseling, and medical care. Users live at the facility and may also participate in other activities such as outdoor recreation, meditation, and art therapy. Upscale luxury and executive rehab clinics are also available. 12-step and community-based treatment: This type of treatment includes peer-to-peer programs such as Narcotics Anonymous, as well as church groups and other support programs. Medication-assisted treatment: Medication-assisted recovery involves the use of opioid replacement medications, such as methadone and buprenorphine, under the supervision of a physician. These medications can help make the withdrawal process more comfortable and prevent cravings to use. Finding the best treatment program for you or a loved one may feel overwhelming at first, but we’re here to help. Call our hotline at 1-888-319-2606 Who Answers? anytime to speak with a treatment support advisor about your recovery options for hydrocodone overdose or addiction.
. Centers for Disease Control and Prevention. National Center for Injury Prevention and Control (2016). Injury Prevention and Control: Opioid Overdose.
. U.S. Department of Health and Human Services (2015). Opioid Abuse in the U.S.
. Substance Abuse and Mental Health Services Administration (2016). SAMHSA Opioid Overdose Prevention Toolkit. HHS Publication No. (SMA) 16-4742.
. Massachusetts Department of Public Health. Opioid Overdose Education and Naloxone Distribution.
. World Health Organization (2014). Fact Sheet on Opioid Overdose.
. Paulozzi, L., MD (2012). Populations at Risk of Opioid Overdose. Division of Unintentional Injury Prevention, National Center for Injury Prevention and Control, Centers for Disease Control and Prevention.
. National Institute on Drug Abuse (2016). Naloxone.
. National Institute on Drug Abuse (2016). Prescription Drug Abuse.
. The American Society of Health-System Pharmacists, Inc. MedlinePlus: Hydrocodone.